Dr. Andrew K Pollack, MD is a Doctor primarily located in Fort Washington, PA. He has 41 years of experience. His specialties include Dermatology. He speaks English. Dr. Pollack has received 1 award. The overall average patient rating of Dr. Andrew K Pollack is Great. Dr. Andrew K Pollack has been rated by 42 patients. From those 42 patients 10 of those left a comment along with their rating. 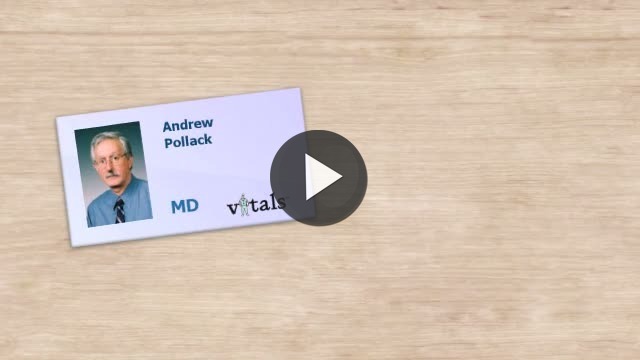 The overall rating for Dr. Andrew K Pollack is 3.5 of 5.0 stars. As a long time client of Philadelphia Dermatology, I am horrified by the quality of service since Advanced Dermatology has taken over. Wonderful Providers, caring staff. Thank you so very much! I have been a patient of Dr. Pollack for about 20 years. He has been terrific! He has treated me for actinic keratosis several times with good results. I have also had Mohs surgery by Dr, Kaplan who is part of Dr. Pollack's practice with excellent results. Got all day? Go here. "First things first- Our records show you have a $50 copay" Pay first- Treatment later. This is how your appointment starts at the Philadelphia "Institute" of Dermatology. After I paid- I was asked to fill out the usual forms and wait for my name to be called. My appointment time came and went. When I was 40minutes overdue I went to the admins desk and ask when I would be seen- This a mistake. Somehow it was my fault they were overbooked and I was rudely told to be patient it would be a few more minutes. While most of the cliental was octogenarians- There are a few of us that have actual jobs in the actual real world. A doctors appointment is not an excuse to get out the office or home. It is something that has to be factored into an already busy day. Meanwhile 3 of the staff members ran out and picked up McDonalds for the office. They came back and consumed it in front of the patients, in clear view of the waiting area. This was at 11:30am! (a note to the admins in scrubs at the desk- in the real world lunch starts at noon. this is how the rest of the working world works. you aren't in elementary school, nor did you start working at 7:30am. pack a snack. treat patients instead of yourselves) After an hour went buy I got up to leave and was told they would see me now. Seeing how I had already wasted an hour, I figured I should stay. I was escorted back to the examination room- where I waited at least another 15minutes for the Doctor to come in. It wasn't even the Doctor I was supposed to see- it was the doctor's assistant! So my $50 dollar co-pay got me an hour plus wait and the doctors assistant. I recommend this place if you have nothing else to do with your day and you don't care about the outcome of your care. I walked out and rescheduled with a more professional and qualified office. Skin cancer took my dad and I take these visits seriously- I wish the Philadelphia "Institute" did too. Take a minute to learn about Dr. Andrew K Pollack, MD - Dermatology in Fort Washington, PA, in this video. Dr. Andrew K Pollack is similar to the following 4 Doctors near Fort Washington, PA.
Have you had a recent visit with Dr. Andrew K Pollack? Select a star to let us know how it was.